If you already have had solar panels installed, you are enjoying the great benefits of solar, such as low electric bills and lower carbon footprint. To keep these great benefits going for as long as possible, you want to make sure all of the solar equipment is working as intended. Solar equipment is designed to last at least 25 years. 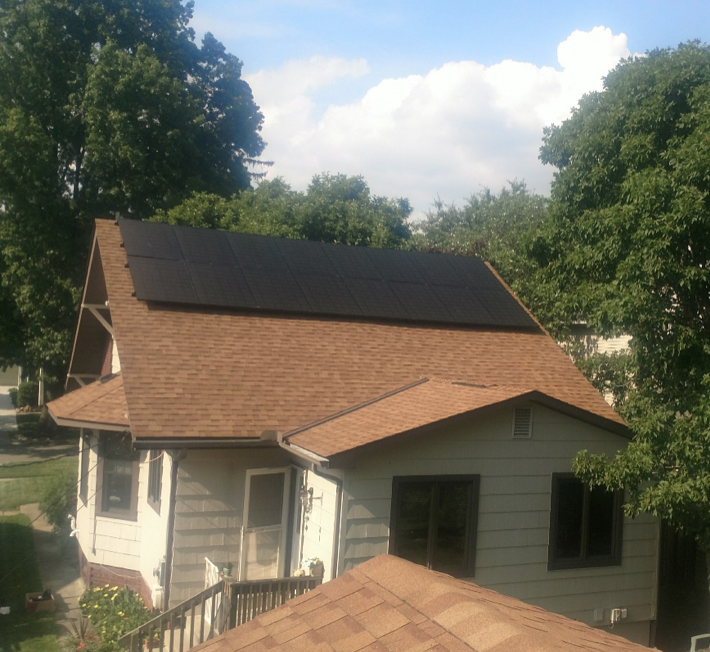 The great news is that solar electric systems require very minimal maintenance in Ohio. However, there are some things you want to be aware of to make sure your solar system is operating at its full capacity. Make sure your solar panels are shaded as little as possible, as any shading greatly reduces the amount of electricity the solar panels will produce. You may need to trim any trees or bushes that are blocking the sunlight. Secondly, it is a good idea to visually inspect the solar panels and other solar equipment once per year, just to make sure everything looks normal. On the roof, you may need to clean off any leaves, branches or other debris that may have collected on or under the panels. You can use your electronic monitoring system to track the performance of your solar electric system over time. You may see a very slight decrease in electric production each year (less than 0.5% per year), and this is normal. The weather may also affect how much electricity is being produced, as the weather varies year to year. If there is a more significant variation, that should be reported to your solar installer (Ecohouse Solar) so they can check it out. In Ohio, you do not need to worry about cleaning the panels, as the rain and snow will keep the panels clean enough. One big issue we have seen is that squirrels like to build their nests underneath solar panels. It is a good idea to periodically check to make sure that squirrels or any other animals and birds are not building nests under the solar panels. If you have squirrels on your roof, or you see signs that the squirrels are nesting under the panels, you should install a squirrel guard around the solar array to prevent damage. Ecohouse Solar installs squirrel guards using a weather resistant wire mesh around the perimeter of the solar array to keep the critters out. Please contact us if you would like to have a squirrel guard installed. We can do this for a reasonable fee. One of the beautiful aspects of solar is that it overall it requires very little maintenance, since there are no moving parts. And it’s a good practice to check on the system periodically as we have described in this blog.